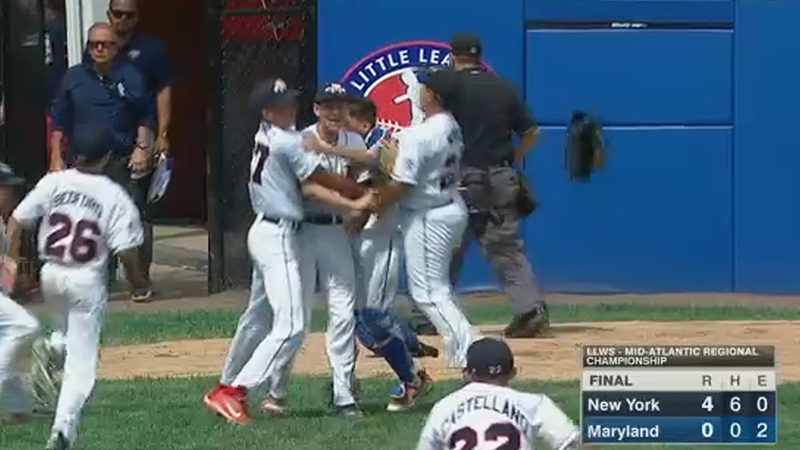 NEW YORK (WABC) -- The Mid-Island Little League team from Staten Island is on its way to the Little League World Series following a victory in Sunday's regional title game. Gregory Bruno pitched a perfect game for Staten Island in a 4-0 win over the team from Berlin, Maryland. The teams met in the Mid-Atlantic Regional Championship in Bristol, Connecticut. The Little League World Series in Williamsport, Pennsylvania gets underway on Thursday. Staten Island will be facing the team from Des Moines, Iowa.